Your hair is your crowning glory. This is why it is natural to wish for improvements if they aren’t to your satisfaction. 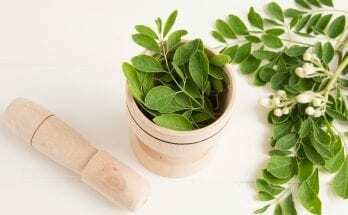 If you’ve lost some hair and you wish to regrow them, then there are some natural remedies out there that can help you! Let’s have a look at some natural treatments that are proven to regrow and enhance your hair. If you massage your scalp on a regular basis, then the natural growth of your hair can be stimulated without the use of hair oils and masks. Massaging the scalp has been known to improve the thickness of your hair and relieve tension and stress in the scalp. So not only is this therapeutic, but it can also relax your mind! This plant has been used to treat hair loss for centuries because it soothes the condition of your hair while relaxing the skin of the scalp. This is so because its properties unblock hair follicles and induce natural regeneration of oils that reduce dandruff. You can get yourself some Aloe Vera gel and apply it to your scalp just a few times in a week to experience these results. If you consume omega fatty acids, you can improve your hair from the inside. This is because it is filled with proteins and nutrients that improve hair density and diameter. Not only does it do this, but it also reduces hair loss, boosting its overall immunity. Just make sure you follow the manufacturers’ recommended levels of dosage. These natural treatments can be tried alongside other natural supplements like Ginseng, Viviscal, Coconut Oil, Onion Juice and Rosemary Oil. The luscious locks you’ve always dreamed of will be your reality in no time! Previous Article How to Get Rid of Dark Elbows and Knees?